Sage has been successfully supporting businesses around the globe with a variety of accounting software solutions for CPAs and accounting firms. Right from startup and SMBs to enterprises, Sage offers a wide range of software applications to assist different business operations of any scale. 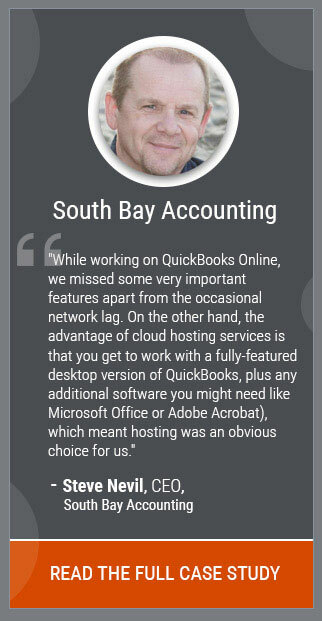 It has been a market leader in the desktop-based accounting software for a long time. However, the desktop software has its restrictions that limit the productivity and efficiency of the CPAs and accountants. Many accountants are now shifting towards cloud-based solutions by hosting their Sage application on the cloud because of the benefits the cloud offers over the desktop version of Sage. Here is a video mentioning the top benefits of Sage application hosting. Increasing competition has resulted in the need for accountants and CPAs to stay in touch with their clients and operations while on the go. Hosting the Sage application on cloud enables an accountant to access the Sage data over mobile gadgets like smartphones, tablets, etc. offering a platform-independent solution. Remote access allows the CPAs and accountants to simplify their tasks and helps them to make decisions while on the go. 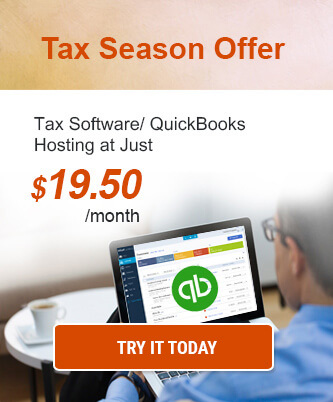 It is particularly useful for the CPAs whose business is spread in multiple geographies. Remote accessibility not only allows them to track their operations, but it also gives them to control the direction of their business. One of the most treasured benefits of hosting the Sage application on the cloud is that the IT expenses are reduced by a considerable margin. Since the Sage application is hosted on the remote servers of the cloud provider, the hardware costs become negligible. Especially, in case of enterprises where multiple users need to access the same application, there is no need to install Sage software on every device individually. Moreover, even the basic hardware such a thin client can be used to access the Sage application on the cloud. Security of the Sage data is essential for every accountant and CPA as it comprises of critical client information. It is a known fact that keeping the Sage data on the local hardware is not at all secure as it can be stolen or leaked quite easily. Sage hosting ensures that the worries about the safety of Sage data are now over. The trusted cloud providers offer optimum security features like data encryption, multi-factor authentication, Intrusion Detection and Prevention System, enterprise-grade firewall, anti-malware, anti-virus, and many more. Collaborating with the clients and colleagues is a hectic task when the Sage software is accessed on the local hardware which leads to a decrease in the productivity of the accountants. Hosting the Sage application on the cloud will ensure that CPAs and accountants can collaborate with their clients and colleagues in real-time on the same files. Unique user profiles can be created so that multiple users can work on the same data over various devices and locations. Disruption of work can hamper productivity and is one of the most fearful situations for a CPA. When the data is located on the local premises, the risk of losing the information or disruption in the work increases significantly. Hosting the Sage application ensures business continuity as the data, and the application is on the remote server of the cloud provider who are responsible for implementing proper risk and crisis management. Moreover, the data is backed up at multiple geographical locations. So, even if one location is disrupted, the data is not lost, and business is not affected. Sage software hosting has plenty of benefits over using it on the local hardware, and that is why more and more accountants and CPAs are shifting to the cloud version. On the one hand, it provides multi-user collaboration ensuring multiple users can work on the same file in real-time. While on the other hand, remote accessibility ensures that a CPA or an accountant can work while on the go. As the costs get reduced, one can invest more into the business to achieve growth. Also, enhanced security ensures that the Sage data is safe and is not leaked or lost. Business continuity further ensures that a CPA’s productivity is never hampered, and business never goes down. [Video] How ATX Software Hosting Benefits Tax Preparers? 7 Benefits of Sage 500 ERP Hosting Benefits of Sage 50 Hosting That You Can’t Afford to Ignore How Sage 300 ERP Cloud Hosting Help Optimize Your Business? I have been using Sage for plenty of years but always found myself restricted to the desktop. The remote access of the software is boon for me as now I can work from anywhere. Truly said. With the other brilliant benefits, my IT expenses have reduced a lot since the time I have hosted my Sage application. The bonus point” business continuity” is essential in today’s time. Nobody, especially in the construction industry, would ever want their business to go down anytime.